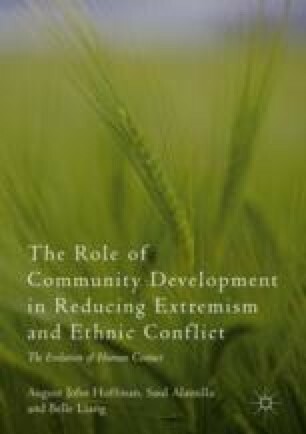 The current chapter explores how a focus on sociocultural factors (e.g., cultural practices, values) might improve our understanding of the relationship between ethnic/racial diversity and social capital as well as related factors (e.g., social cohesion, intergroup relations) among major groups in the United States. Specifically, the chapter will examine the extant literature on the cultural dimensions of the relationship between diversity on social capital and related phenomena (e.g., social cohesion, intergroup relations) among major groups in the United States (e.g., African/Black Americans, Asian Americans). The central question explored is: What role do cultural factors have on the relationship between different aspects of diversity and social capital among diverse groups? Prior to examining the extant literature on cultural factors associated with the major groups, the chapter will take a critical look at the literature on diversity and social capital and focus on key confounding factors. Thus, a major goal of the current chapter is to disentangle ethnic and cultural diversity from each other as well as from broader contextual factors (e.g., neighborhood disadvantage).